Tata Motors luxury vehicle unit Jaguar Land Rover has opened its first full manufacturing facility outside the UK, in China. The Range Rover Evoque is the first model to be built under this first Chinese-British automotive joint venture with Chery Automobile Company. The opening of the 400,000 sq m Chery Jaguar Land Rover Automotive Company factory followed two years of construction. Located in the Changshu Economic Development Zone north of Shanghai, the factory is part of a RMB10.9bn joint venture investment plan. At the plant inauguration ceremeony, JLR CEO Ralf Speth said: "The opening of this world-class facility is an important milestone for Jaguar Land Rover. Since its launch, one in five Range Rover Evoques have been sold in China. Our decision to manufacture the [model] in Changshu is a result of our commitment to bringing more Chinese vehicles to Chinese customers." Chery chairman and CEO Yin Tongyao added: "Chery Jaguar Land Rover remains committed to delivering excellence in its quest to lead the Chinese premium automotive industry through its historic British lineage, world-class quality and unique shared value approach." By 2016, the facility is expected to be building three JLR models with total production capacity of 130,000 units a year. Those vehicles will be manufactured in highly-automated press shops - including the latest aluminium and steel technologies - along with a steel body shop comprising 306 robots, an energy-efficient paint shop and an ergonomically-friendly final assembly line. A new aluminium body shop, the first in China, is under construction to enable the future introduction of Jaguar models to Chinese build. Chris Bryant, president of the Chery Jaguar Land Rover joint venture, said: "The plant opening marks the completion of our start-up phase of which we are incredibly proud and now we will continue to build with the same passion and pride, to realise our goal to be the premium automotive manufacturer inspiring excellence in China's automotive industry." Significant investment has also been committed to training about 2,000 new recruits in health and safety standards, process systems and problem-solving, as well as the company's quality-control processes and corporate culture. The factoryy in the Jiangsu region, part of the Yangtze River Delta, forms the centrepiece of a joint venture investment that will include the establishment of the JV's Greater China Research and Development Centre and engine manufacturing. Initial sales of the Chinese-made Evoque are due to begin in early 2015. Further details of local specification will be released at the Guangzhou motor show later this year. In a joint statement, Speth and Yin added: "We will leverage the complementary strengths of our two businesses to set new standards for manufacturing excellence, quality and sustainability in China. Together, we can look forward to expansion in China with confidence." 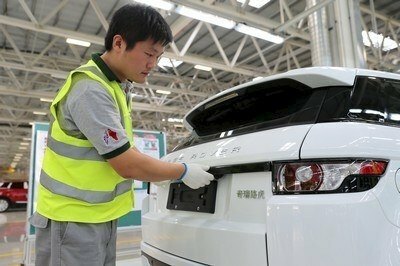 JLR first established itself in China just over a decade ago. Once fully operational, output from the new factory will include new derivatives and models specially designed for Chinese buyers. In the last fiscal year, JLR sold over 100,000 vehicles in China, making it the automaker's single largest market. JLR products have long been assembled overseas from KD kits shipped fom the UK. The automaker currently assembles some Land Rover and Jaguar models at parent Tata Motors' plant in Pune, India. More recently, JLR confirmed it would start local manufacturing facility in Brazil. These world-class manufacturing facilities will provide additional production capacity supplementing that of Jaguar Land Rover's three vehicle plants in the UK. 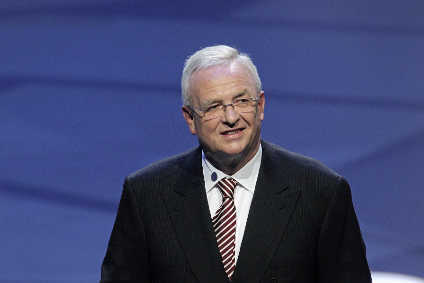 In China, Jaguar Land Rover established its national sales company July 2010 and has more than 400 employees. Three 'Land Rover Experience' centres.